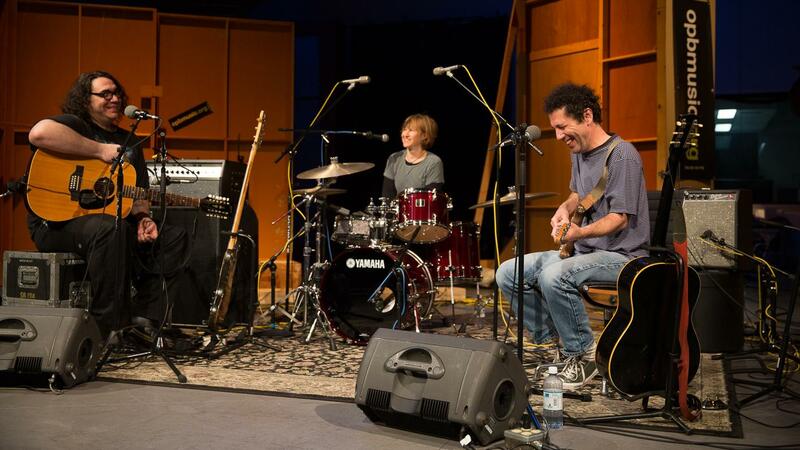 James McNew (left), Georgia Hubley and Ira Kaplan of Yo La Tengo perform live at opbmusic in Portland. Nearly 30 years and 13 albums into a career marked by tireless creativity and remarkable consistency, Yo La Tengo's Georgia Hubley, Ira Kaplan and James McNew are much-loved and highly influential pioneers. That word seems as accurate a label as any, especially given that they laughed off the notion of being "godfathers" during our interview. But they're hardly finished — this year's Fade ranks among Yo La Tengo's best albums, no small feat considering the band's catalog and longevity. Making the switch to Tortoise's John McEntire after two decades of releasing albums produced by Roger Moutenot, the group imbues its new album with audibly tender moments. This song, "Cornelia and Jane," feels like just such a moment between Hubley and Kaplan, as it asks big questions about relationships and finality. Watch the rest of Yo La Tengo's session at opbmusic at opbmusic.org. Copyright 2014 OPB. To see more, visit http://www.opbmusic.org.